I have sold a property at 1321 NESTOR ST in Coquitlam. CHARMING 4 bdrm family home in popular New Horizons. This well-maintained home sits on a QUIET & sunny level lot w/ SECLUDED front yard & fully fenced backyard. Home features NEW Hardwood flooring, 4 SPACIOUS bdrms & 3 baths on 2 levels, cozy wood-burning stone fireplace on main & HUGE picture window in living room. Kitchen is BRIGHT & spacious w/ AMPLE cabinet space & has a deck that accesses the PRIVATE backyard. Great sized master bdrm showcases a GENEROUS walk-in closet & 2 pce ensuite. Rec room downstairs gives children the perfect games room. GREAT location just steps from recreation, schools, parks, Coquitlam Center, buses & Future Evergreen Line! A MUST SEE! I have sold a property at 1244 HORNBY ST in Coquitlam. CHARMING 2 storey, 3 bedroom, 2 bathrm + DEN, family home in popular New Horizons! This well-maintained, move-in ready 1,410 Sq ft home is situated on a 4,000 Sq ft Lot. Home features NEW kitchen appliances, NEWER roof & Hot water Tank,laminate & tile flooring throughout, 3 SPACIOUS bdrms, & 4 pce bath upstairs. Main floor has VAULTED ceiling in the living room w/a cozy wood-burning fireplace, Kitchen & dining are BRIGHT & spacious w/dble sliders leading onto the covered patio with a fully fenced backyard w/storage shed. GREAT starter home or families downsizing, located blks from schools, close to Coquitlam Center, buses, Lafarge Lake, Coquitlam River, Future Evergreen Line & more! This home won't last; A MUST SEE! 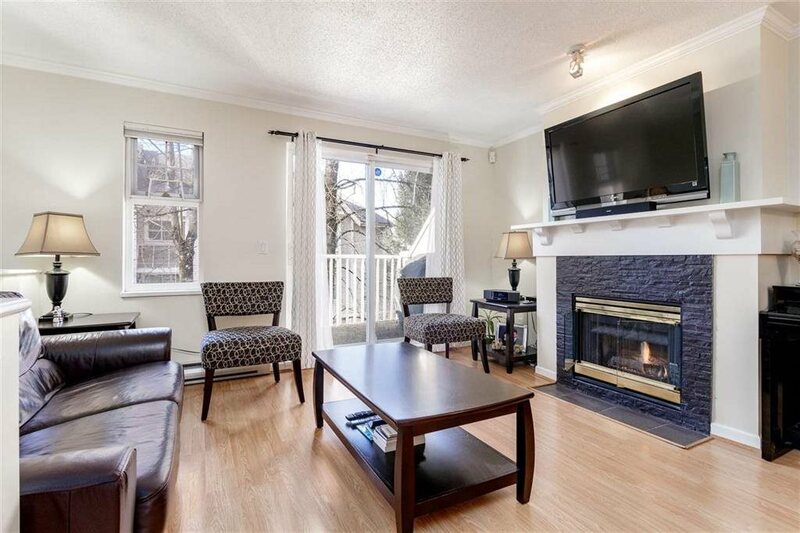 I have listed a new property at 1244 HORNBY ST in Coquitlam. I have listed a new property at 1321 NESTOR ST in Coquitlam. I have sold a property at 3230 CHROME CREST in Coquitlam. Fabulous home in New Horizons. Starting from the great curb appeal this well cared for home has tiled entryway, sunken living room with cozy gas fireplace, bay window, adjacent to dining room, newer kitchen with moveable island with breakfast bar, tiled backsplash, eating area with skylight, French doors leading out to the huge entertainment sized covered deck, master bedroom with walk-in closet & 3 piece ensuite, 2 more bedrooms round out the main floor of this great family home. Downstairs boasts huge rec room also with cozy gas fireplace, laminate flooring, spare bedroom & 3 piece bathroom & large laundry room. Crown moulding throughout home, designer paint colours & level low maintenance fenced yard. Many renovations making this beauty move in ready and a pleasure to show. Close to schools, including Douglas College, transit, recreation & shopping. I have listed a new property at 3230 CHROME CREST in Coquitlam. CHARMING 4 bdrm family home in popular New Horizons. This well-maintained home sits on a QUIET & sunny level lot w/SECLUDED front yard & fully fenced backyard. Home features NEW Hardwood flooring, 4 SPACIOUS bdrms & 3 baths on 2 levels,cozy wood-burning stone fireplace on main & HUGE picture window in living room. Kitchen is BRIGHT & spacious w/AMPLE cabinet space & has a deck that accesses the PRIVATE backyard. Great-sized master bdrm showcases a GENEROUS walk-in closet & 2 pce ensuite. Rec room downstairs gives children the perfect game room. GREAT location just steps from recreation, schools, parks, Coquitlam Center, buses & Future Evergreen Line! A MUST SEE!